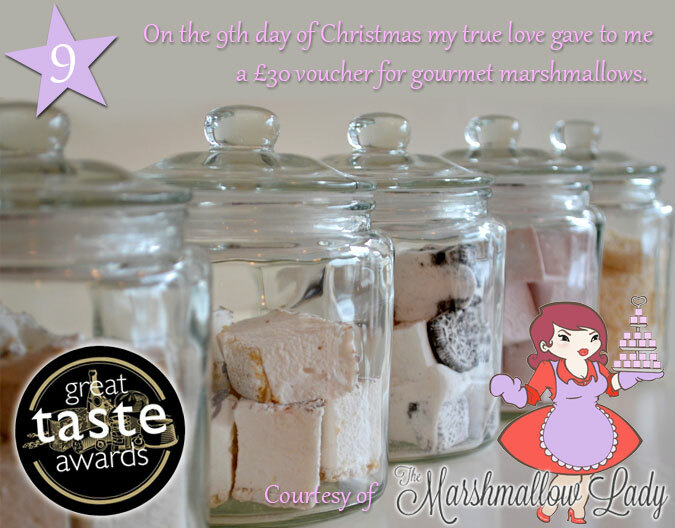 Enter today’s 12 days of Christmas competition to be in with the chance of winning a £30 voucher to spend on your choice of divine gourmet marshmallows from The Marshmallow Lady. Choose from seasonal specials such as Eggnog and Mulled Wine, and fabulous flavours like Lemon Meringue and Salted Caramel. The Marshmallow Lady will change your way of marshmallow thinking. The conventional ‘pink and white’ marshmallows taste sickly-sweet, bland and boring when you compare them to these home-made beauties. Her range of flavours are innovative and award-winning, and she uses fair trade and local ingredients in her gourmet treats.